Founder & President of www.mantraya.org, Visiting Research Associate at Murdoch University, Perth, Australia. 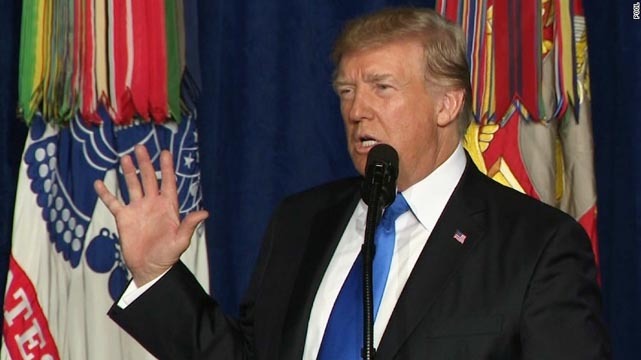 Donald Trump’s strategy for Afghanistan and South Asia announced on 21 August, was intended to highlight the novelty and surprise elements of a roadmap that purportedly sought little short of the decimation of terrorism. For all that, the ‘new’ strategy, its overheated semantics and studious ambiguity notwithstanding, in reality is but a continuation of the American trial and error method that has kept insurgent aspirations of a victory alive these 16 years since the US intervened in Afghanistan. After spending much blood and treasure, has the US learnt from its mistakes? Is the present strategy a break with the past? Or is it a mere continuation of a policy with no defined objectives and outcomes? India must consider carefully its desired terms of engagement for any serious partnership with the US in Afghanistan. Ahead of US Defense Secretary James Mattis’ visit to New Delhi on 25 September, New Delhi needs to use the opportunity to tell Washington of the shortcomings of the present Afghan policy. After all the opposition for the war in Afghanistan he unleashed over the years via social media, especially in his election campaign, when push came to shove, Donald Trump’s strategy for Afghanistan and South Asia, elaborated on 21 August 2017 chose the least bad option, the one which would have the least resistance and would provide room for maneuver to match the domestic needs and geopolitical interests. Despite tall claims of having studied Afghanistan in great detail and from every conceivable angle, Trump strategy’s on Afghanistan is neither new nor comprehensive. First, the strategy, apparently scripted by the US military, is not about nation building but kinetic operations, search and destroy by another name. Getting a free hand on the ground with no micro-management from Washington is a victory of sorts for the US generals in Afghanistan. Still, much confusion abounds as to whether the strategy is counter-insurgency, counter-terrorism plus, or an overt reliance on the use of military force. Moving away from the earlier time-based approach to one based on conditions is certainly appropriate. In this, Trump has addressed the error of his predecessor, Barack Obama, who in December 2009 had announced troop surge and exit at the same time. This only worked to insurgent advantage, allowing an approach of ‘waiting out the enemy’. Yet there is no indication whether the intent is to convert Afghanistan into a new South Korea, where US troops are indefinitely based, or something else. A conditions-based approach is preferable to the mistaken announcement of a time schedule, but there is nothing to indicate what will be done to address those conditions that are fueling extremism and violence. Further, the apparent decoupling of kinetic and non-kinetic elements of the strategy, the military and civilian components, will limit the gains achieved through kinetic operations. Claiming that all of this will be something more than smoke and mirrors is guaranteed, Trump proclaimed, by the application of will. Unlike Obama, he implied, this time the US will fight to win. To point out the sheer profligacy of such a pronouncement seems almost a waste of effort. Second, Trump has not identified any benchmarks and targets for actions. This keeps the expectation bar low but also does not address the basic component of metrics. Neither has he expressed in any clear terms expected steps to be taken by Afghanistan, Pakistan, India, or even the US itself. Most importantly, the role of other major regional powers such as Russia, China, Iran, UAE, and Saudi Arabia remains undefined. Afghanistan’s tragedy lies in the fact that its internal contradictions have been exploited by external powers. Without a regional strategy, the external powers will continue along this path, notably neighbouring Pakistan. Third, every US president is aware of Pakistan’s role and interests in supporting the terrorist groups in Afghanistan. It is perhaps the first time that a US president has stated this publicly, but it is not as though the reality has not hitherto figured into planning. Nevertheless, there it was: ‘Pakistan often gives safe haven to agents of chaos, violence, and terror,’ Trump stated unambiguously. Unspecified was just what coercive instruments could be brought to play to change Pakistan’s behaviour. Trump’s critique of Pakistan is in line with New Delhi and Kabul’s position on the external support and sanctuary provided to the insurgent and terrorist groups that are the source of Afghanistan’s instability. That Pakistan has been a mendacious ally in the US-led war on terror, sheltering terror groups like the Taliban and the Haqqani network, and using them as strategic assets in Afghanistan, despite the aid of more than US $33 billion being given to Pakistan in the last decade and half for the counter-terrorism cooperation. The sudden recognition by Trump of New Delhi’s concerns needs to be received with caution in view of the role he wishes to assign New Delhi as a strategic ally andfurther develop thestrategic partnership with India. The proof lies in the pudding. Even as Pakistan considers cozying up to China as its safety-valve, the strategy has been welcomed in Kabul and New Delhi. In spite of Trump’s awkward mentioning first of India’s substantial trade benefits from good relations with the US – before elaborating on his expectations from New Delhi ‘to do more’ – New Delhi has welcomed the strategy. It is seen as a nod to the importance of India’s economic and development assistance thus far and an acknowledgement that without India’s soft power, things could be much worse. Though mentioning the fact that at least 20 US-designated foreign terrorist organisations are active in Afghanistan and Pakistan — the highest concentration in any region anywhere in the world, Trump’s strategy appears geared towards targeting al-Qaeda and the ISIS. If the US is still looking for apolitical settlement with the Taliban, New Delhi will have to make sure that this is done by the Afghan government through an open, inclusive, and accountable process. Moreover, New Delhi needs to tell Washington that the targeting of terrorists groups cannot be selective and must include groups that are detrimental to India’s security interests, as well. Any robust counter-terrorism cooperation with the US will need to address issues of funding, training, and support provided to these groups. India has pledged more than US$3 billion for various civilian capacity building, infrastructure and development projects in Afghanistan. This has brought it significant good will among the Afghans. By avoiding a narrow security dominated approach, India is seen as a neutral partner and not a party to the conflict. It is prudent, then, for New Delhi to stay clear of involvement in the kinetic side of the equation, while simultaneously urging the US to play a more meaningful non-kinetic role in institution building and reform. This goes against the Trump administration’s stated goal of avoiding nation-building, yet any military strategy divorced from building strong institutions of governance and service delivery is unlikely to translate kinetic gains into tangible political outcomes. 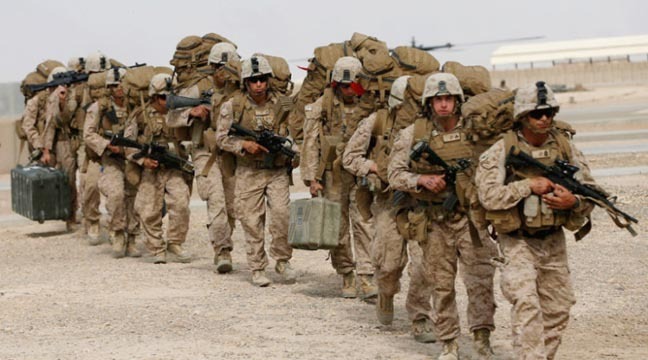 A mere addition of over 3,000 troops to Afghanistan, where they will bolster the approximately 11,000 American forces already there will not make much impact unless there is a clarity of the mission, rules of engagement and outcome, in addition to building effective and responsive governance institutions. There is serious possibility that the US is looking to India to perform the non-kinetic component while the US engages in what certain figures feel it does best, kinetics. This would be a thankless position for New Delhi to be in which could entail burden-sharing and risk strategic distortion as concerns its interests. Likewise, the role of private contractors in the push to outsource the war; the continued dependence upon warlords, power-brokers and militias for support of counter-insurgency operations; the use of air power as a surrogate for actual engagement, together with inadequate human intelligence (HUMINT) resulting in collateral damage and increase in civilian casualties, all need to be clarified. The potential for New Delhi to be caught in the blowback from Washington’s ill-considered approaches must be considered. Skeptics are already highlighting that by lumping its Afghan with its South Asia (India and Pakistan) strategy, the Trump administration runs the danger of not only intensifying the India-Pakistan competition but also intensifying regional competition as Pakistan seeks succour from the likes of China, Russia, and Iran. The dangers of such competition, notwithstanding, Pakistan will need to compete with India on the development and reconstruction of Afghanistan which will accrue good will from the Afghans. At the moment, the popular sentiment for Pakistan remains very low. A weak and unstable Afghanistan has been a primary objective of its predatory neighbours. Leaving to the side the reality that countries like Pakistan are not simply going to give up this quest, regardless of US positions or threats, there is the fundamental necessity for any American strategy that has any hope of success to work towards building a strong and stable Afghan state that will make the subversive campaigns of these neighbours and their proxies difficult. This can be achieved by institution building and reforms in the security, political, economic, and governance sectors. The Trump administration has refrained from making clear long term commitments. The time to do so is now. In the security sector, there remains a need for better training, equipment, vetting, and policing capabilities, as well as an increase in Afghan airpower capability. The latter element alone, if inadequate, seems all but to guarantee that the gains achieved through kinetic operations will be simply lost. In the political sector, in addition to revamping the indigenous institutions for peace and reconciliation such as the High Peace Council, reconciled and reintegrated fighters will need opportunities for employment and acceptability as they transition back into society. More importantly, as Afghanistan heads to another round of presidential and much delayed parliamentary elections in 2019 and 2018, respectively, systems, procedures, and logistics need to be put in place to avoid the messy elections outcomes of previous years. These have seriously impacted the credibility and functioning of the Afghan government. Greater decentralisation will help popular participation on the margins. The limits of an overly centralised form of governance of last decade and half are evident. A legitimate government that delivers to the people the basic services is essential to any hope of victory, however defined. A clean, responsive and accountable governance system under the rule of law is essential to build the trust of the populace and deprive the insurgents of their support. If this seems so much pie-in-the-sky, then there hardly seems any point in being involved. Just what the announced US strategy is to contribute to such an end-state is puzzling. If India and U.S. intend to work together in denying these groups and their sponsors any space in Afghanistan, the first step will be to chalk out a comprehensive and long term plan along with the Afghan government to build a strong and stable Afghanistan that will be an antidote to these forces at play and predatory neighbours. The Strategic Partnership Agreement signed by New Delhi with Kabul in October 2011, provides a good template. As US adopts a kinetic approach towards Afghanistan, New Delhi will have to spell the conditions for any cooperation to take this strategic partnership ahead. For New Delhi to partner with US development and aid agencies, such as USAID, there is a need for integrated planning to provide market access for the products produced, accompanied by skill-based training for small and medium enterprises for income generation and boosting domestic production. Continuing instability has enabled neighbouring countries to pour in cheap goods, thus, stunting Afghanistan’s indigenous economic revival and growth. New Delhi will have to tread carefully in the shifting sands inside Afghanistan and the region. Rather than rushing into the American embrace, New Delhi’s primary objective must be to fulfill its obligations as Kabul’s strategic partner. Trump has sought an honourable and enduring outcome, the contours of which remain unknown. Ahead of US Defense Secretary James Mattis’ visit to New Delhi on 25 September, which will be followed by secretary of state Rex Tillerson’s visit, New Delhi needs to use the opportunity to tell Washington of the shortcomings of the present Afghan policy. The Afghans have long looked to a friendly India to play this role of a serious interlocutor. India should step up to the plate commensurate with its rising power status and aspirations. Dr Shanthie Mariet D’Souza is a Visiting Research Associate at Murdoch University, Perth, Australia, Founder & President of Mantraya, Associate editor for the Journal of Asian Security and International Affairs ( Sage), Editorial board member of Small Wars & Insurgencies ( Routledge), Expert and Contributor to the Middle East-Asia Project (MAP) at the Middle East Institute, Washington DC, Senior analyst for the South Asia desk with the Wikistrat Analytic Community, and Adviser for Independent Conflict Research and Analysis in London. Her research interests and expertise include: Prospects for long term stabilisation of Afghanistan; Politics of Aid, Development, Gender and Security in South Asia; State and Peace building in fragile states; Security Sector Reform; Non-traditional security threats in South Asia; Countering terrorism, insurgencies and violent extremism; Conflict and Peace Studies; Post conflict stabilisation; Identity politics in Asia; Strategic Communications; Great Power Politics, Global governance and Emerging Powers; India’s foreign, aid, maritime and security policy; Regionalism and Prospects for Regional Cooperation in South and South East Asia. Dr. D’Souza has conducted field research in Afghanistan, China, Africa, Canada, United States, Jammu and Kashmir and India’s North East. As Adviser, Independent Directorate of Local Governance (IDLG), Government of Islamic Republic of Afghanistan (2015-16); International Election Observer for the audit and recount of Afghanistan’s Presidential Runoff elections, August-September, 2014; Senior Transition Consultant, United Nations Mine Action Service (2013), Kabul and External Reviewer for the country programme of Action Aid International, Afghanistan (2011), she has worked with governmental and non-governmental sectors for more than a decade and conducted field studies in various provinces of Afghanistan. Dr D’Souza has presented papers at various academic and policy forums and has numerous publications to her credit. Among her most recent published work is an edited book titled Afghanistan in Transition: Beyond 2014?, co-edited books, Perspectives on South Asian Security and Saving Afghanistan. She has guest edited a special issue on “Countering insurgencies and violent extremism in South Asia” in Small Wars & Insurgencies (UK: Routledge), vol.28, no. 1, February 2017. She has contributed chapters to edited books, journal articles, encyclopedias (Europa and Britannica), yearbooks and regional surveys and op-eds in the media on issues relating to security, political parties, political leaders and developments in Afghanistan, India, South Asia, West Asia, Africa, China and South East Asia. Most of her publications are based on her field research findings and experience in conflict zones.